Part two of my new series on (neo)Anabaptist critiques of Pietism. See the first entry, on Harold Bender’s “Anabaptist Vision” here. 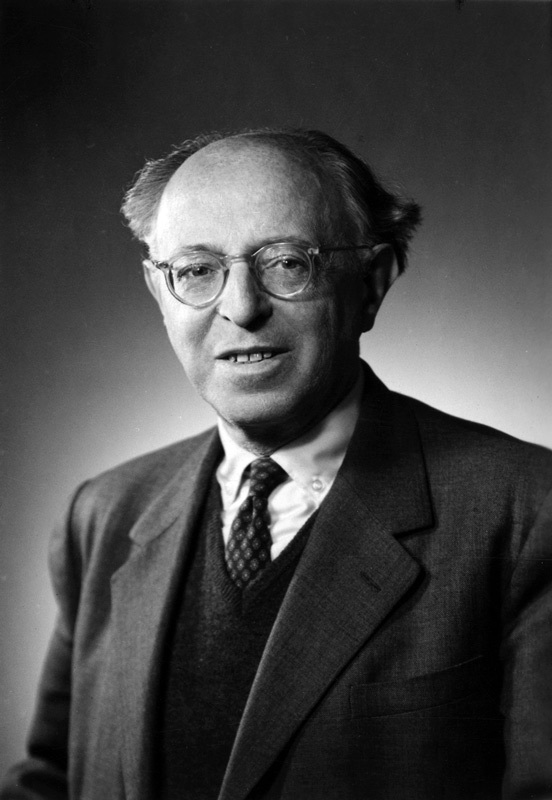 One of Harold Bender’s chief collaborators in the neo-Anabaptist revival of the mid-20th century was the Austrian-born historian-philosopher Robert Friedmann, raised in a Jewish family but baptized into the Mennonite church not long after fleeing Nazi persecution and arriving in the United States in the 1940s. Also like Bender, he drew crucial distinctions between Anabaptism and Pietism. But while Pietism was only one of several other Christian traditions against which Bender contrasted his Anabaptist vision, and then only in cursory terms, Friedmann took the problem of Pietism very seriously. He even considered titling his book Anabaptism, Mennonitism, and Pietism, but decided that Pietism was too obscure a term for American audiences (xiii). Still, the first half of Mennonite Piety is devoted entirely to the historical connections between Anabaptists and Pietists, and to comparing and contrasting their approaches to Christianity. Earlier church historians, without displaying much sympathy for either movement, had treated Pietism either as descending from Anabaptism (Max Goebel) or reviving it (Albrecht Ritschl). Friedmann, on the contrary, sought to draw a clear distinction between what he viewed as the ideal Anabaptist witness (the 16th century Swiss Brethren and similar movements) and the later Pietists. To start with, their differing understandings of conversion and sanctification manifested themselves as divergent responses to the world. Rather than pursuing the costly discipleship so central to Bender’s “Anabaptist vision,” or seeking the “radical world transformation” that was a hallmark of Friedmann’s own Anabaptist ideal, Pietists abandoned “concrete Christianity” and replaced it with “an emotional Christianity which no longer caused the authorities of state or church any trouble. So the Pietist made peace with the world as it is, and in spite of his sincere intentions to achieve a real Christlichkeit [Christianity], avoided or eliminated the friction and opposition which he would otherwise have had to face” (12). This sort of “new life” was one that “could be lived within the framework of the middle-class life of the time” (11-12). Friedmann lamented that pietistic influence had led some later German and Dutch Mennonites down a similar path: “One might name this the ‘pietistic’ route which is looking rather for ‘Gottseligkeit’ (inner experience) than for ‘Nachfolge’ (imitation of Christ), cultivating the inwardness of the Word of God in a more static manner and thus not conflicting with the surrounding world” (57). Pietists traced a direct line from justification to “enjoyment (Geniessen)”; Anabaptists were convinced that seeking the kingdom of God “ultimately leads us to work and to suffer” (86-87). For the Anabaptist, salvation entailed suffering for the good of others; for the Pietist, the “struggle for repentance (Busskampf)” was “an exclusively mental labor with oneself, which is quite apart from all thought of love,” since it ended with the convert content in his own personal joy. At most, Friedmann expected from Pietists “a mild friendliness and morality” disconnected from any true understanding of the kingdom of God (73-75). The individualism that followed from Pietist soteriology inevitably resulted in an impoverished ecclesiology: “The conventicles of the Pietists represented a devotional gathering of the regenerated, in which each one as a consequence of his own private experience of the Busskampf and assurance of salvation, felt himself distinct from the others” (76). Echoing Bender’s description of the Pietist collegia pietatis as “a resource group for individual piety,” Friedmann saw the conventicles as “gatherings of individualists” that never truly achieved “the utmost possible disappearance of everything personal and selfish (Eigenen) in the practice of a true brotherly reciprocity” (76) that marked Anabaptist communities. In the next post, we’ll consider how the “Anabaptist vision” and “Friedmann thesis” influenced subsequent Anabaptist scholarship before receiving criticism from a new generation of revisionist historians.